Tibetan Bagong Opera originated from the 12th century Sakya Pandita period. 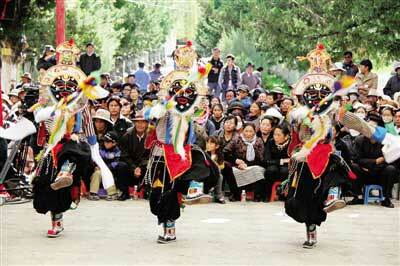 Since it is 300 years earlier than other Tibetan opera, people call it “the ancestor of Tibetan opera”. As the first Tibetan opera, Bagong opera has many characteristics. For example, it has very ancient dance movements. These movements leave a deep impression on people who see them. Also, the songs, masks and clothes of the opera are unique. So you can easily distinguish them from other Tibetan opera. Moreover, Tibetan drum is the main accompanied instrument. Therefore, the rhythm of the opera is very strong. However, the opera lost it scriptures once in the history. So performers could not play it. In order to save Tibetan traditional culture, local artists started to recover the play in the middle 1980s. Recently, performers are rehersing it to welcome the upcoming Tibetan New Year. Now more and more people realize the important of Tibetan Bagong Opera. And many young actors join in the performance. For more Tibetan cultural news, please follow our blogs on www.tibettravelexpert.com and contact our Tibet local travel agency for more Tibet tours. 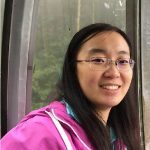 If you are fond of my blog, please follow me and I will update every day!